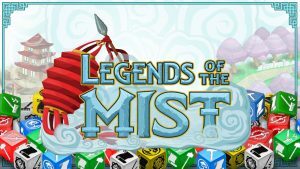 This episode brought to you by BoardgameTables.com and Meeple Realty – We begin this episode by paying thanks to the huge cast of contributors that submitted content for our 1 year anniversary episode. The episode was a huge hit and we want to thank each of you for taking the time to contribute. A collective #DING for everyone who was involved! One of our listeners has started a chair fund to buy Brandon a new chair, since he continues to whine about his current accommodations! Josh reflects on HeroQuest in THEN, and Brandon brings HeroQuest Classic to his attention. In NOW we confess that there is a shiny copy of Star Wars Rebellion sitting on the game table, touch base on Josh D&D campaign, and discuss how Takenoko is a great game to introduce children to. Our TOMORROW segment features two great new kickstarters that are worth your attention; Cavern Tavern and Expedition: The Roleplaying Cardgame. 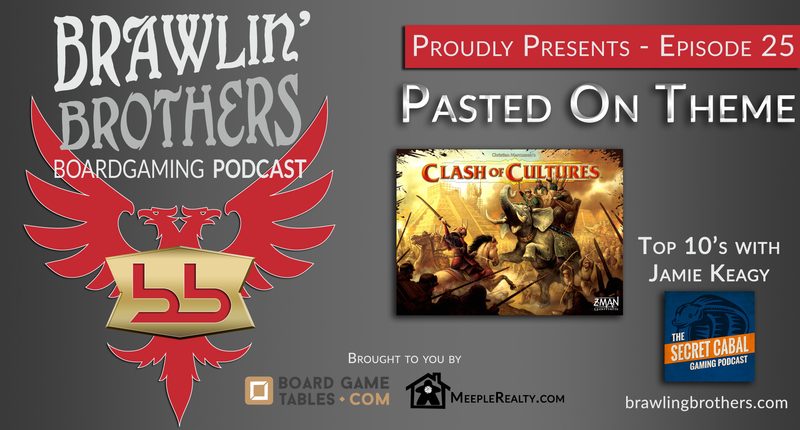 We review Clash of Cultures, and civilization building game by Christian Marcussen. We close out the episode talking our Top 10 Games of ALL TIME with Jamie Keagy of The Secret Cabal – and put him through the ringer in our Rapid Fire Round!